Space Station Vol.3 is a timeless selection of deep ambient music created for meditation and soul travel. One big step closer to the stars you may experience the ineffable beauty, euphoria and deep gratitude and love for the immense gift which is our mother planet. Make yourself ready for 95 minutes of warm and lightful floating through infinity and zero gravity. 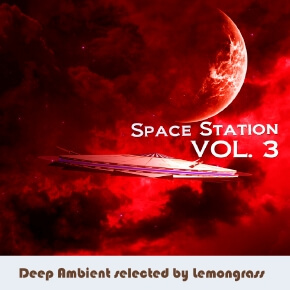 All tracks were selected and mixed by Lemongrass and presented on the label Lemongrassmusic. The compilation bundle comes with a non-stop DJ mix.